When you travel to a destination somewhere across the globe you probably already have an idea of where’d you like to go, what you’d like to see and of course, what kinds of foods you want to eat. Paying a visit to the local McDonald's or Dunkin’ Donuts is likely not going to be a priority on your list of things to do, but what you find in these major food chains around the world may surprise you! Many localize their customer experiences, menus, and services for their storefronts in different countries. They do this in order to stay relevant within each market they operate in. Here are some of the most interesting menu items and experiences we’ve seen across the world. We all know McDonalds as a dominating global phenomenon and rightfully so. McDonalds localized both their slogan and their menu items for all 101 countries in which they operate. Meaning, “I’m lovin’ it” wasn’t just translated verbatim into different languages, but instead, localized to embody and express the same on-brand message in different locales. For example, in Spain, the slogan they use is “Me Encanta” which translates to “I love it”. However, in France, they use “’est tout ce que j’aime” which means, “ I love everything” and in the Philippines the slogan is “love ko ‘to” which is understood as, “I love this”. But the slogan isn't the only thing that's been localized. McDonald’s has many unique local items to offer in different stores around the globe. For example, in the Philippines, the crowd favorite may come as a bit of a surprise. 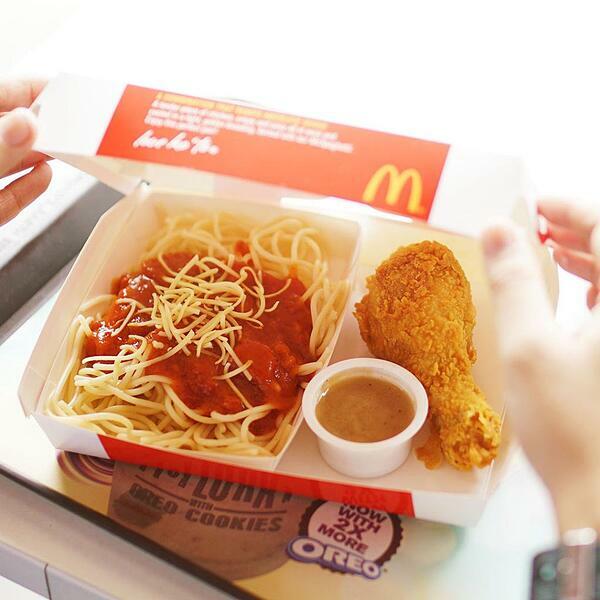 McSpaghetti with a side of fried chicken is a go-to selection for most Filipinos, especially when it comes a price-point that is just under $2.00 USD! In Japan, McDonalds puts a spin on their classic Double Big Mac by adding a tamago (egg) patty and some bacon; with these new additions, their Mega Tamago Burger was born. Burger King is the second largest global food chain with over 13,000 locations in 91 countries around the world. With so many different locations, they’ve definitely given a lot of thought into their localized in-store experiences and menu items. For example, in the Nordics, where going to the sauna is a popular past-time, they’ve localized their customer experience by creating a store wherein you can order your meal out-front and dine in their in-house spa! Additionally, in BK Morocco they offer a fun selection of alcoholic beverages to go with your meal. A classic mojito to pair with your burger and fries? Don’t mind if we do. In terms of menu, when crafting their offerings for their asian stores they noticed that coffee was far from the norm for most locals, especially in China. With that information they crafted a menu that incorporated more coffee-free selections into their list of offerings and also added a mix of drinks with popular asian flavors like matcha, red bean and golden sesame. In China, a popular item on their menu is a dried pork seaweed doughnut (yes, you read that right). Dried pork floss is a common and popular ingredient in Asia, especially on pastries, and you can leave it to Dunkin’ Donuts to make it into a signature doughnut. 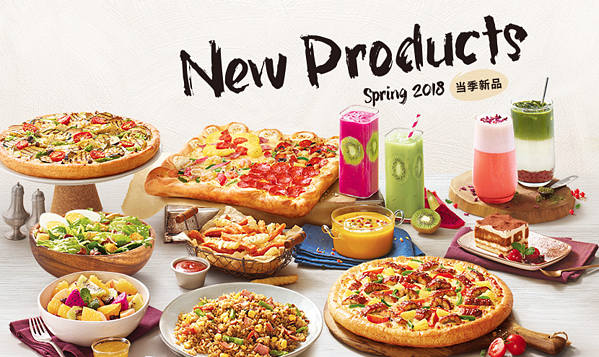 We all know and love Pizza Hut for their pizza, right? The company is by far the largest pizza retailer in the world by number of locations and percentage of market share. But did you know that there’s more than just pizza on their menus around the world? 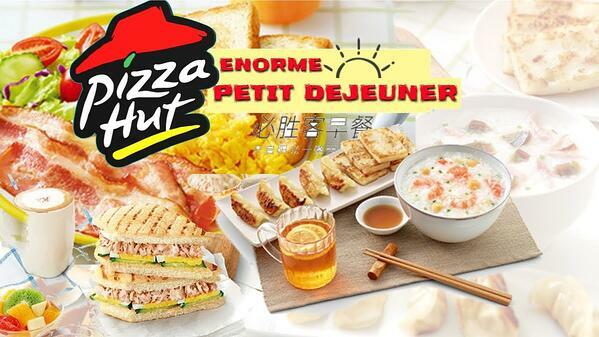 In China, where most people eat rice daily, Pizza Hut has adjusted their menu to offer things like, “Chicken fried rice in teriyaki sauce” and even, a breakfast menu with a variety of Asian breakfast foods like white bread sandwiches, dumplings, and even congee (rice pudding).